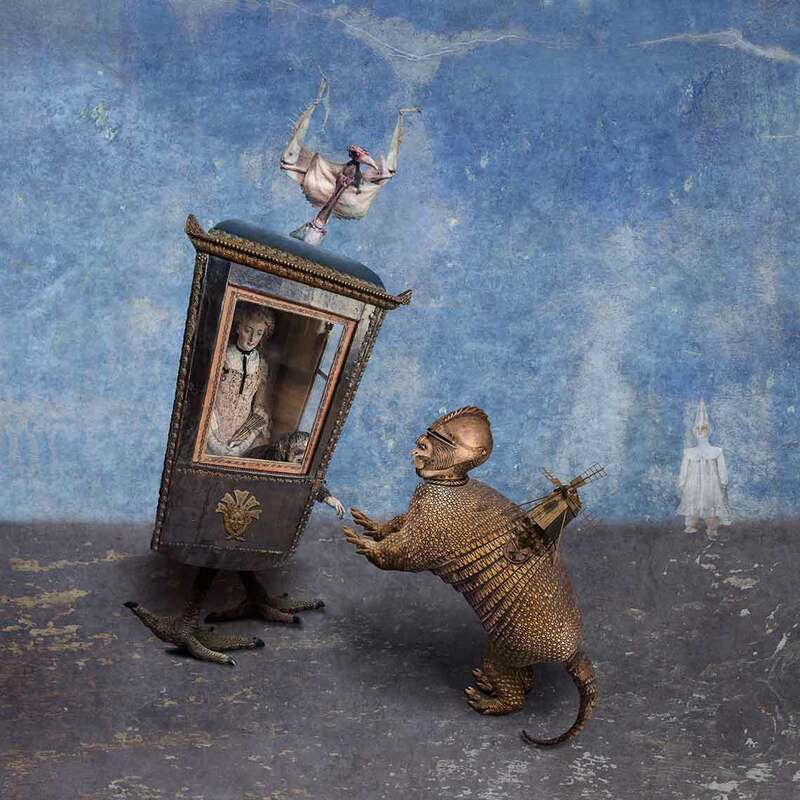 The Secret Meeting of a woman called Nancy travelling in her Sedan Chair and an educated Armadillo who wore armour. Nancy travels with friends, a Saki Monkey pet and a gigantic Preying Mantis for protection. There is a small person in the background watching, so this meeting is no longer a Secret.